Our webhosting tariff is the perfect solution for realizing your commercial and private web projects at unrivalled low costs. This tariff includes everything you need to manage your website, blogs and forums as well as many other internet applications. We will make no regulations! A sorrow shared is a sorrow halved! Please stay … if you want! One .de domain is included in our webhosting package. Choose this domain comfortable during the order transaction. In addition you can choose more Top Level Domains any time or add one of the numerous new domain endings such as .shop, .design etc. 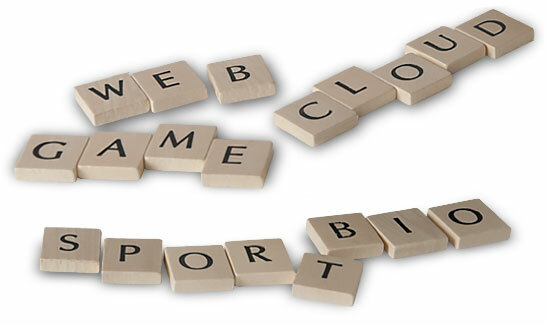 Or 2, or 3 … At all times more domains can be linked in the webhosting tariff, if they were registered by Keyweb. Many providers only offer limited disc space for emails. Decide for yourself whether you need more webspace or mailspace. Assign/Allocate your space individually. Keyweb uses MySQL for storing and managing your data. MySQL is a free SQL-database-system based on Open Souce. You get 5 databases to operate your projects, blogs, forums etc. separately. The webhosting tariff supports the most common Content-Management-Systems (CMS) such as Typo3, Wordpress, Magento, Joomla etc. We are always available and glad to answer your questions. With the included free administration software KeyHelp® you can manage your data easily and smoothly. A high usability and a clear structure guarantee an easily understood application. The KeyHelp® account gives an overview of space, main domains, subdomains, FTP accounts, MySQL database, mail addresses, mail lockboxes, activated services and directory listing (recording of single or more folders on one data medium). We rely exclusively on brand servers of Keymachine® Servermanufaktur. Just high-performance brand hardware is used for their production. They are hosted in TÜV-certified data centers in Germany (Hosted in Germany). So we combine reliable hardware with a safe location. For even more security of your web presence, you could improve your webhosting tariff with a SSL certificate (colloquially known as HTTPS certificate). The transfer between server and client is hereby encoded. Whether you only need a simple SSL certificate or opt for a Wildcard SSL certificate, at Keyweb you can choose from eight different types of SSL certificates, because of its cooperation with the certification provider GlobalSign. At Keyweb you are not bound to long-term contracts. Choose between 6, 12 or 24 month contract period. If you choose a webhosting tariff with a contract period of 24 months, you will recieve 10 % discount. We are available around the clock, seven days a week and 365 days a year. You enjoy free technical support via ticket system any time. You can contact us via mail or telephone if you wish personal consulting. Our customer service always gladly assists you. Do you still need more memory? Our virtual servers relieve you if your web projects become more extensive. Already our „Smallest“ RVS M14 with 1 GB guaranteed RAM and 100 GB SSD hard disk can be a great help. We provide the suitable solution for every need. Select webhosting by Keyweb! Be safe with SSL Certificates from GlobalSign. Find the right certificate now. From 39.- € / year. Choose from nearly 600 new generic domain endings. Try out the Keyweb management tool for your server right away!